Type the place name, Canmore ID or the Site Name into the search box in the top right corner. Select Site from the dropdown. Click the Search button (which looks like a magnifying glass) or press Enter on your keyboard. If required, filter the list of results by Classification, Council, County, Parish or Discipline. 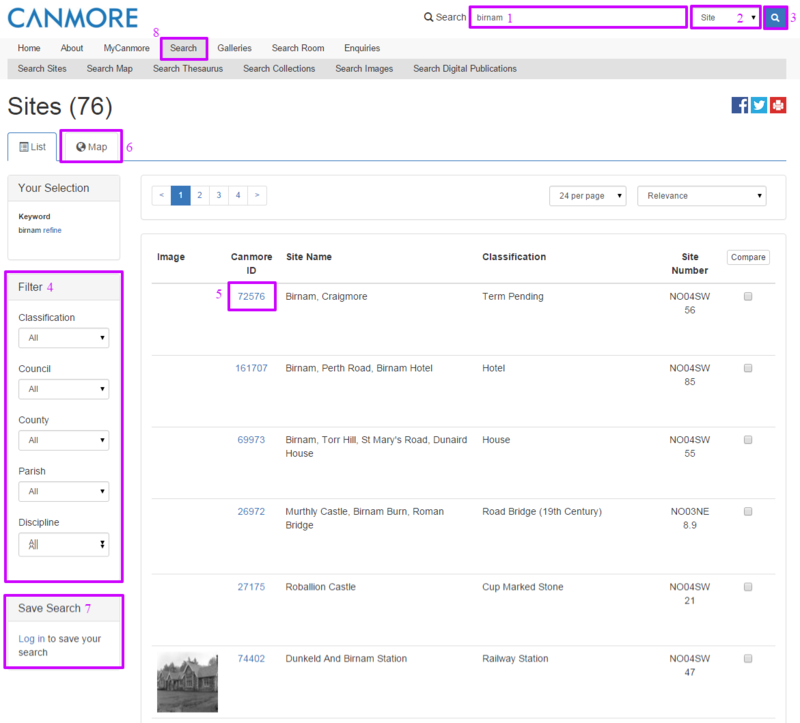 Click on the Canmore ID of the site to click through to the full record for that site. Or you can view your results plotted on a map. Click the Map tab just above your results. There is also an option to save your search - Save Search box to the left of the results. Login, give your search a title, then click Save. If you prefer there is also an advanced search form. Click Search in the menu then enter the criteria you would like to search on.